Delhi: Bhikaji Cama metro station is Flooded, Few days later of opening: As you all may know that heavy rain is being the main problem for most of the Delhi people. Even the problem is increased in Bihar and other northern states too. 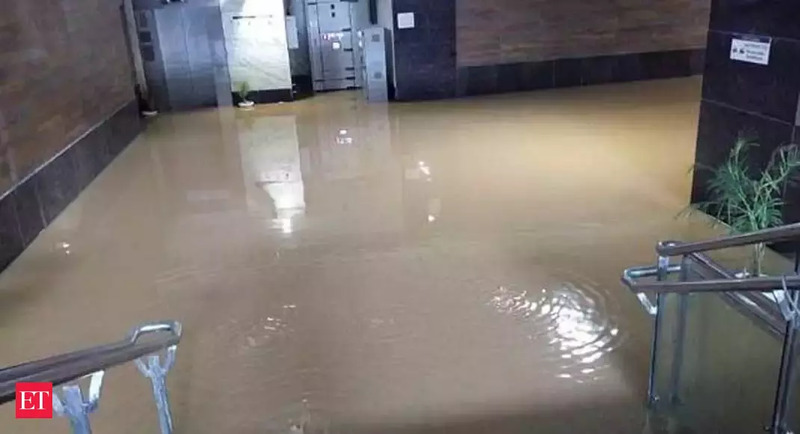 Reports are coming that the entrance area of the underground Bhikaji Cama Place metro station, which is on the Pink Line, was flooded after heavy rain on Monday. This isn’t just the case of rain and water even it is indicating the main problem of modern India. As you all may know that the flooded Yamuna River is causing a lot of pain in Delhi people’s eye. Also, the reports are suggesting that due to this the whole area around the entry point to the station (footpath and road) got submerged in water, resulting in “settlement” of the footpath around the entry gate. Also, the sources are saying that a top DMRC official had last week said many of the newly-opened corridors or those awaiting opening were facing their first monsoon.